The new sterility test isolator from Metall+Plastic has its world premiere at the Interphex show. Several features distinguish the STISO: well-designed ergonomic operator concept; flexibility due to its modular design; fast installation and an integrated glove testing system built into the HMI. By means of a catalytically air circulation and the new DECOjet technology the product achieves extremely short cycle times during decontamination. STISO is low maintenance due to the H2O2 flash evaporation. It is available for aseptic and aseptic-toxic applications. Optima Pharma will be presenting the MultiUse filling and closing machine platform at the Interphex Show 2018. The MultiUse platform is an innovative machine solution focused on maximum flexibility for processing of ready-to-use vials, syringes and cartridges. A high degree of automation, robotic technology and a sophisticated transport system enables agile pharmaceutical manufacturing and ultimate flexibility to all market and production demands. The MultiUse platform can easily be integrated with Optima Pharma’s latest isolator technology for highest product and operator safety. 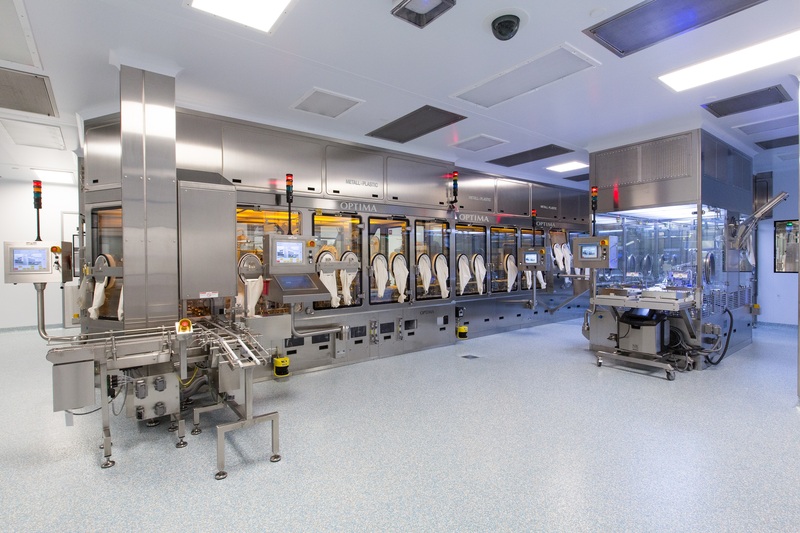 The modular design concept allows for flexibility in line configuration along with the integration of pharmaceutical lyophilization systems enabling superior level of aseptic process control and quality assurance.